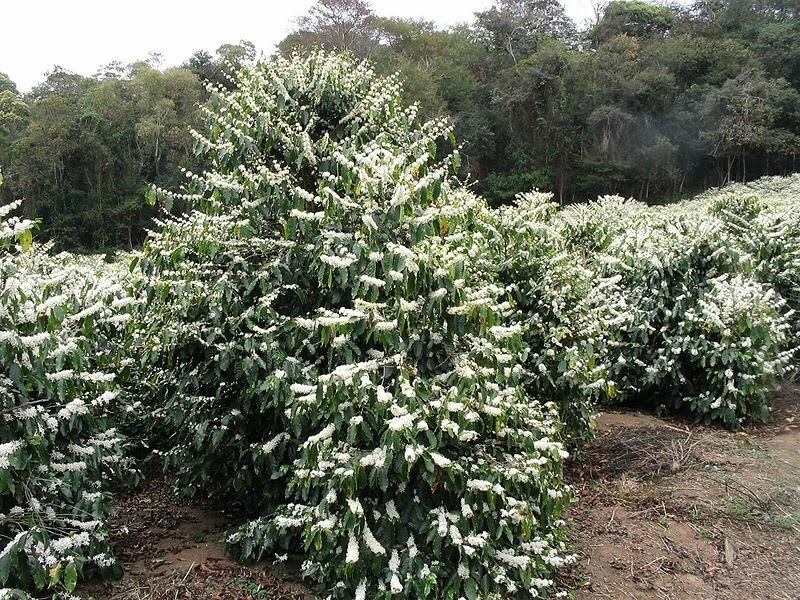 My Dad grew two kinds of coffee tree: coffea arabica and a liberica. Growing them was so exciting. My Dad sowed the seeds by himself. He made organic natural soil in the small container, and he put the seeds in. It is kind of easy! He told me: “You have to look to chose the right seeds by putting them in the water. If they are floating on the water, they will be not good seeds. Also take care of the moisture of the soil and seeds during time germination and growth of the beans. He showed me the seed coat, beginning stem reach to the sun, called hypocotyl, the first leaf opening to the sun, called cotyledons, and then foliage leaf. Seeing the first foliage leaf growing everyday about six months after he transplanted them to the garden. They cause magic for me to see all the tiny changes from the bean to the trees. My Dad watered them at late night when the time drop off the temperature. We can save more water for them at night. All along the leaves need the water to help for photosynthesis, taking energy from the sun. 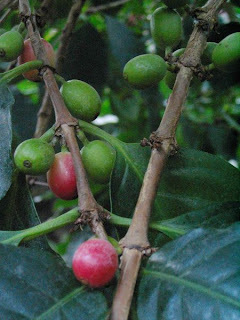 The coffee tree is big tree and height, too. They take long time before they have fruits, about three or four years. When they have the flowers bloom, they are so wonderful with the white colors and smell so sweet and heavy, like the jasmine. The coffee flowers self fertilized. They need the wind, but insects and bee help. When the bees come up to collect the nectar to make honey, they built the nest at the branch of the tree. My Dad always come to next by, and sometime he left some sugar liquid for them. He told me, why he come near by many times to let them realize his smell. When he smoke them to collect the honey, they will not bite him. (It is smart. I thought about him). I like the garden work. I help him to collect the dry branches for the cooking, to cut to make the shape of tree, and collected the fall leaves so fun. It smell so good when the weather changing. It is funnier when my friends, and I play the game hide and catch. I always climb so high. They rare to catch me until they had to yell that they lost and I climb down. At the time I also learn the music of the trees with my Dad. The light comes up and go the through the tree. The light makes the mysterious because whenever the wind go by, it make the leaves moving, and he showed me the shade of the tree changed. He called them the arts of music. After therains, we see the different with the early morning sunlight. The melody of light change all day long. Way back then, we live in small village so I do not have chance to hear the singer or see the music show much. All the feeling I have for music which one he taught me. The music for him is the sounds of wind, the color of sunlight, the smell of flowers bloom. 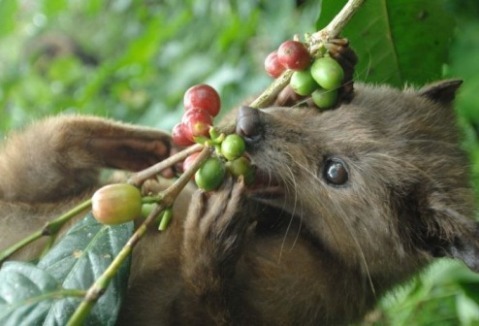 He also good at the homemade coffee bean. The fox eat coffee berry, but the coffee bean go through the digester of the fox. The fox like the sweetness but leave the bean. He collected them to make coffee bean. If he does not collect enough, he have choose by himself with really good quality fruit. The colors of fruits change from the green, yellow, red, and when they really right, they have really dark red. So he collect all of the fruit dark colors and big bean. He break the skin so carefully, take off the layers, first pulp and pectin (what the fox like), then remove the hull and epidermis and finally the bean. Then he mix them with the butter, wine, and salt quite awhile. It simple as the job for all of farmer. Other than that he taught me to be passionate about the music of the sunlight! Tam Nguyen is a student at the Literacy Volunteers of Coconino County where Dr. Smith is her tutor.